Prices of residential property could grow by up to 20% after elections in 2019, according to the Confederation of Builders of Ukraine. “The situation of 2018 will partially continue in 2019. 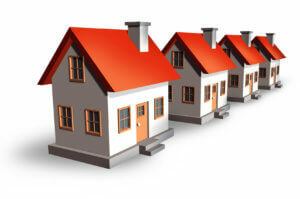 Property prices in Ukraine will gradually increase. At the beginning of the year, there will not be a sharp increase in prices, but after the elections, the price of residential property would rise by up to 20%,” the confederation said in a press release. In the opinion of the confederation, prices in 2019 will be affected by high supply and low demand, an increase in interest rates on loans, a rise in wages, prices for building materials, logistics, and fuel. At the same time, the demand of buyers will be stimulated by a competent project concept, quality of construction, and pricing policy. The confederation also plans together with the Regional Development, Construction, Housing and Utilities Economy Ministry to review a number of national construction standards, as well as to complete the discussion of bills on the protection of investors who are victims of frauds on the market and on long-delayed construction projects. According to the press release, in 2019, the National Bank of Ukraine (NBU) expects growth in the lending pace on the real estate market. At the same time, the rate of lending to the population increased by 40% in 2018, the confederation reported with reference to the NBU. According to the confederation, in the current year, the elite class housing became cheaper – the average price of one square meter in Kyiv in 2018 amounted to UAH 53,000, which is 13% lower than in 2017; at the same time, economy class housing has risen in price by almost 14% compared with 2017, to UAH 19,000 per square meter. 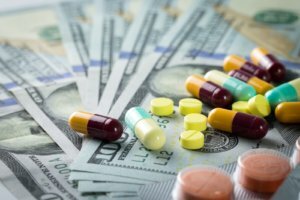 Pharmacy sales in Ukraine in January-April 2018 in money terms grew by 41% compared to the same period in 2017, to UAH 30.14 billion. Sales in physical terms increased by 8% in the four months, to 543.575 million packs, the Business Credit company told Interfax-Ukraine. According to the company, in particular, retail sales of medicines in money terms increased by 44%, UAH 24.914 billion, sales in physical terms grew by 21%, to 374.345 million packs. The weighted average price of goods in the so-caled “pharmacy basket” for the four months of 2018 was UAH 55.45 for the package, the average price of medicines was 66.55 UAH for the package. In April 2018, pharmacy sales amounted to UAH 7.178 billion, which is 35% more than a year earlier, medicines sales increased by 38%, to UAH 5.938 billion. Board Chairman of the Sikorsky Kyiv international airport (Zhuliany) Denys Kostrzhevsky predicts that transportation by air in Ukraine would grow by 7-10% a year in coming 10 years. “My forecast is optimistic. I think that in coming 10 years growth in the number of flights will be seen in coming 10 years by 7-10% every year. This is even more than the IATA’s forecast,” he said in an exclusive interview with Interfax-Ukraine. He said that Master-Avia that manages the airport ordered the study of the market with the depth of up to 2052. The study confirms that in the coming two years the explosive growth of the Ukrainian aviation market – by 20-30% a year – would be seen. According to the company’s forecasts, then the growth will be 5-7% until 2052. Kyiv International Airport (Zhuliany) is located in the business center of the capital, seven km from the city center. It is the second largest airport in Ukraine in terms of the number of flights and passenger traffic. The airport has three terminals with a total area is 21,000 square meters. Terminal B is separate facility for business-class service, it is part of the Fixed Base Operator (FBO) system. The airport’s runway is able to handle B-737 and A-320 aircraft.